Double Fine Productions has delayed Psychonauts 2 past its previously announced 2018 release window to an unannounced window. Outside of the release window update, the development update also showcases the creation of the Aquato family—protagonist Raz’s family. 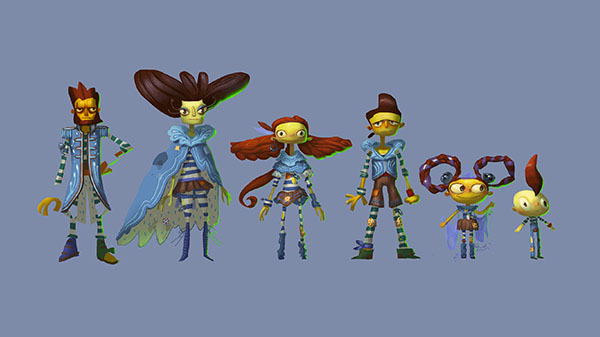 While the Aquatos appeared in memory vaults in the original Psychonauts, the entire family is being named and modeled for Psychonauts 2. Psychonauts 2 is in production for PlayStation 4, Xbox One, and PC.